This yarn banner was the backdrop for a knotted in love party. 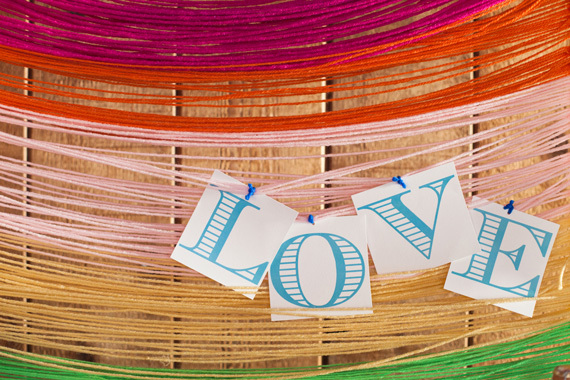 Fun for Valentine's Day, but the colorful yarn backdrop is an idea that needs to live on. The rainbow stripes will work perfectly for St. Patrick's Day or a rainbow themed party. And I think it would be beautiful in a monochromatic ombre setup too. You can check out more of this yarn banner and the knotted in love party over at A Subtle Revelry. That is so adorable! Great ideas for any age!